The Healthy Workplaces, Healthy Families Act of 2014 (AB 1522), also known as the California Paid Sick Leave Law, mandates that employees who work for 30 or more days within a year in California be given at least 24 hours of paid sick leave annually. The stated purpose of this legislation is to provide support to employees and avoid the choice between an individual or family’s health and their job or income. It is estimated that the law will expand paid sick leave to approximately 6.5 million workers who currently do not have it. 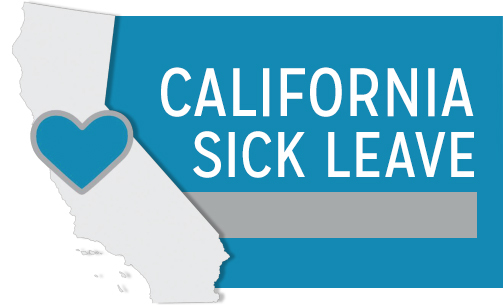 When this law goes into full effect on July 1, 2015, California will be one of three states with a paid sick leave requirement.